Can you believe that summer is over? I don't quite want to let go of sunshine filled summer evenings but as far as Autumn goes I think September is pretty nice. Although I like my trees very green, there is something magical about witnessing the leaves turn into the different shades of the sun slowly throughout the month. It also happens to be Organic September, a month in which I hope to eat and experiment with more organic ingredients! First up I have come up with a breakfast combination that is absolutely mouth watering but also packed full of vitamins, antioxidants and other good stuff. I'm trying to eat less meat and dairy and since I was already going organic I thought I might as well go vegan too. 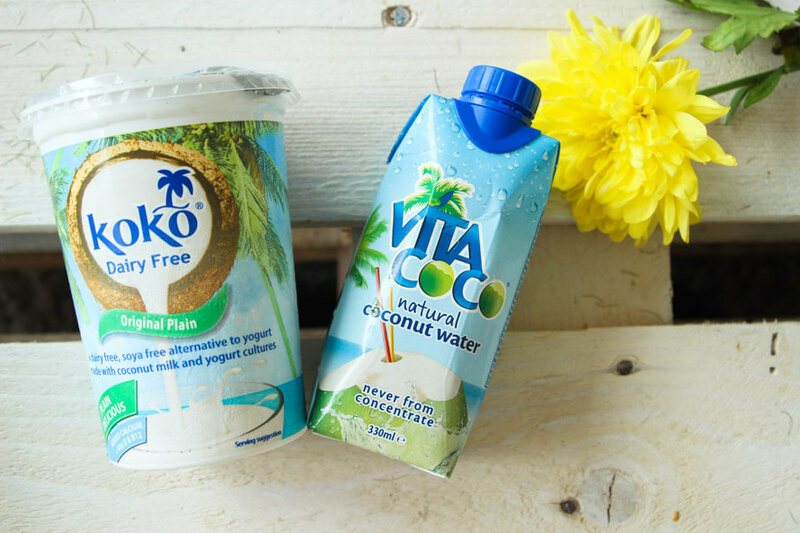 I bought my first ever coconut yoghurt to use in place in normal yoghurt and I actually think I prefer it! I made a Super Hulk Green Smoothie which in my opinion is the perfect mix of fruit and veg and Organic Superfood Muesli Bowl served with sautéed berries, coconut yoghurt, raw almond butter and a drizzle of organic raw Agave syrup. 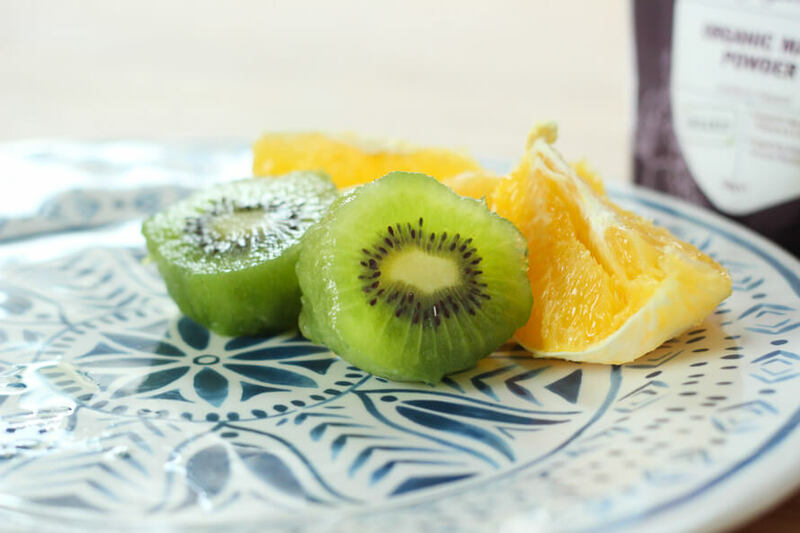 I could be here for hours telling you exactly what nutrients are in this delicious breakfast but instead I will quickly summarise just some of them : Vitamin C, E, B vitamins, Iron, Calcium, Magnesium and more! In short - eat this and your body will thank you. Throw it all together into a blender and blitz it till it's smooth. 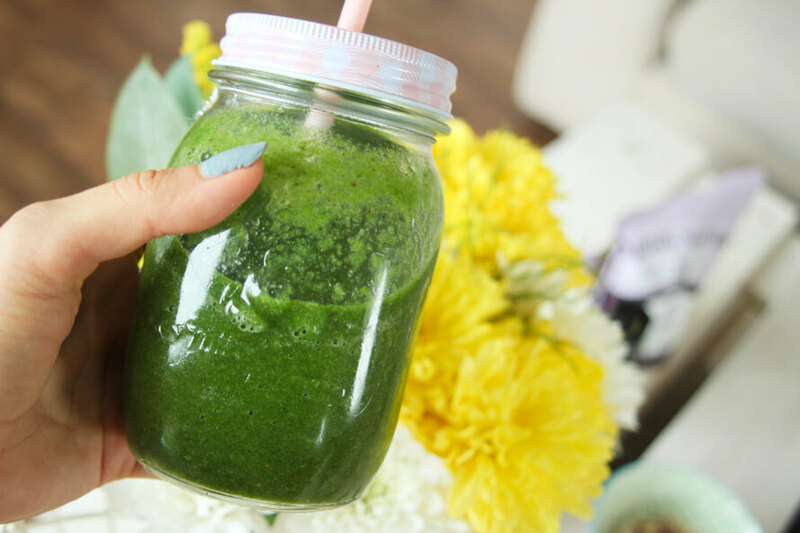 The real superhero of this smoothie is the added Maca powder which contains a vast and rare blend of minerals, including iodine, potassium, iron zinc, copper and vitamic c, a great way to boost the immune system in time for the cold Autumn that's to come! Every single type of muesli I've ever laid my eyes on in the supermarket is always absolutely loaded with sugar which really puts me off from buying it. 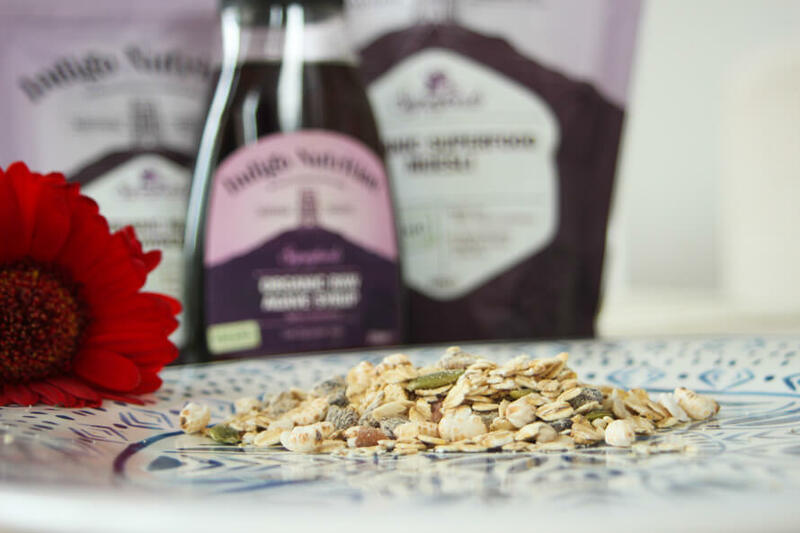 The Indigo Herbs muesli I used in this recipe is made with 100% pure botanical ingredients and there's absolutely nothing added. 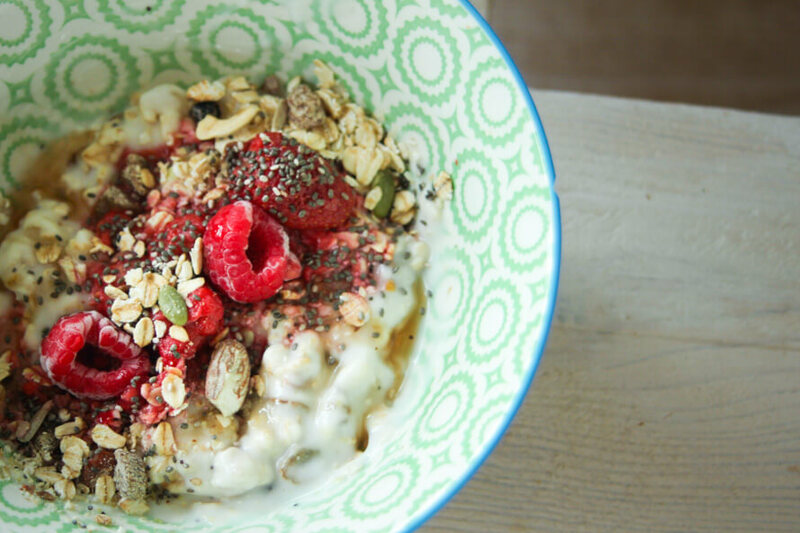 It is made up of jumbo Oats, a variety of Seeds, chopped nuts, Apricots, Sultanas, blueberries Quinoa Flakes, Buckwheat Flakes and Puffed Rice. 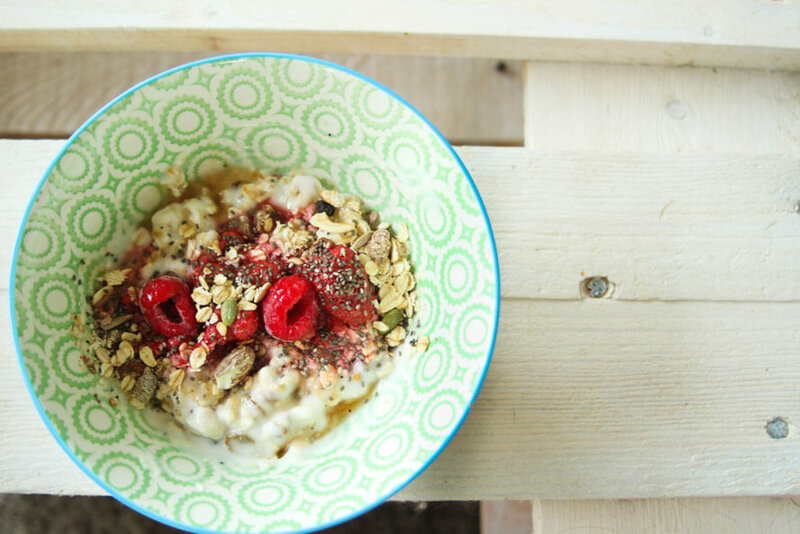 Because of such a range of ingredients this muesli is full of very complex flavours and natural sweetness. 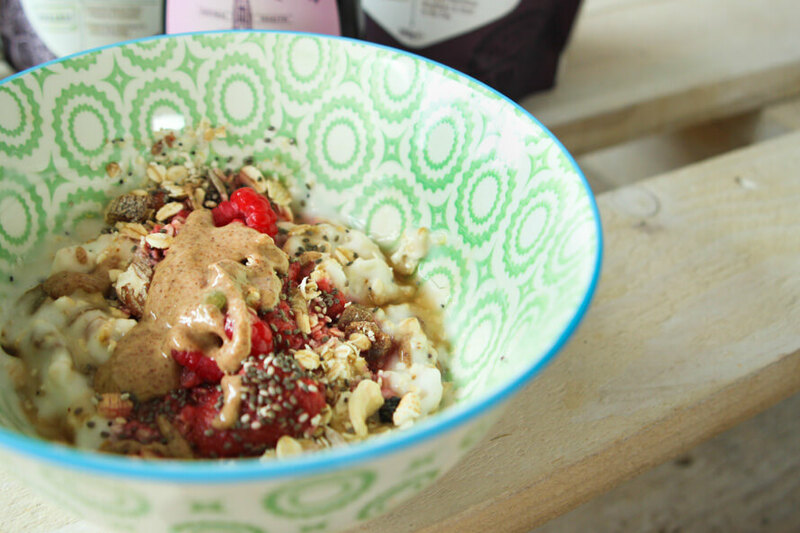 The almond butter adds another level of delicious creaminess which will help to keep you fuller for longer. I have also learned that almonds are great for our hair, brains and heart ( interesting article about the health benefits of Almonds). 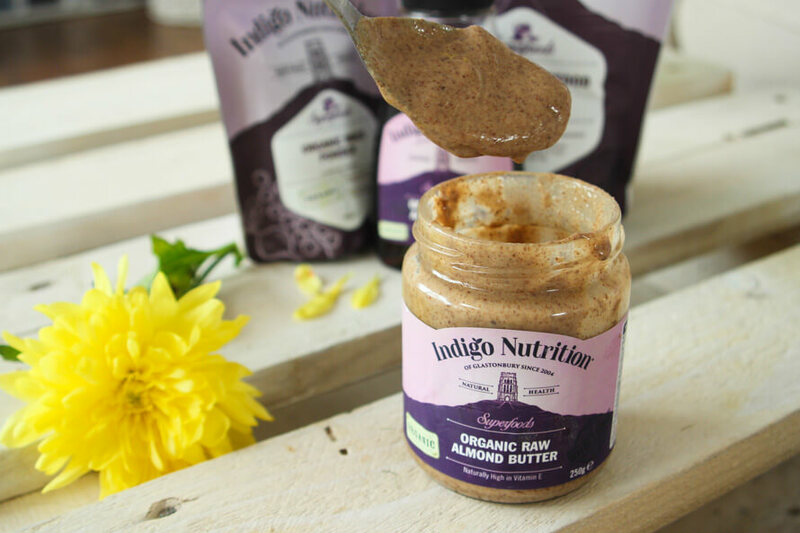 A massive thank you goes out to one of my favourite brands Indigo Herbs for making me aware of Organic September and letting me try out some of their delicious, natural ingredients which were the stars of this stunning breakfast recipe! 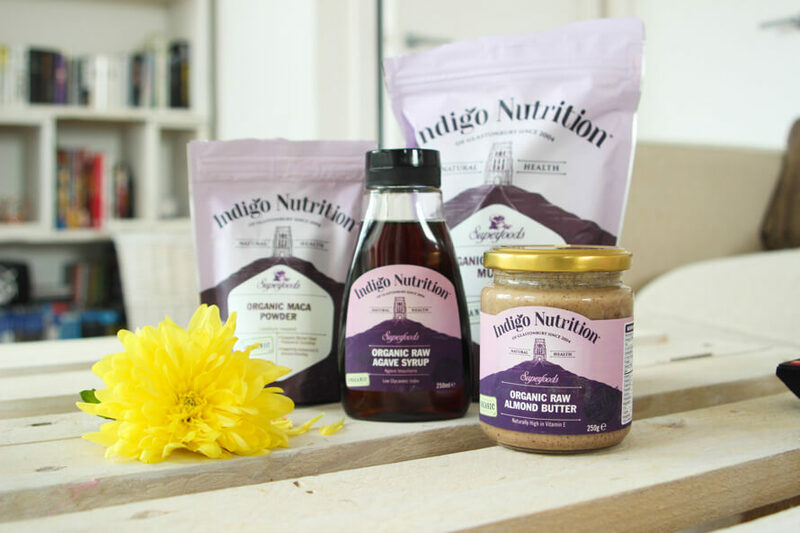 I have previously reviewed their Raw Chocolate making kit and a bundle of their herbals teas and I'm so excited to announce that this gorgeous brand has chosen me as one of their ambassadors! Natural living and healthy food hacks is something I feel really passionate about and I can't wait to start sharing more and more healthy recipes and well being posts with you all! YUMMMMMMMMMMMMM. Your coffee table works so well in this haha.